WE MAY NOT HAVE SUPERPOWERS. BUT WE ARE STRONG NONETHELESS. Accumulated expertise and extensive experience. Our secret weapons for effective and efficient legal consultancy. Our professional tax consultancy is of the highest quality and is based on two fundamental principles. To keep track of complex tax law and to develop solutions tailored to your business policy. Our specialist expertise remains specific across the many facets of German law. We provide competent and professional advice in all matters relating to commercial and corporate law, inheritance law, capital transfer tax law and liability and insurance law. Analyse the numbers, gain confidence, recognise opportunities. Our work in preserving our auditor independence is based on traditional auditing – whether required by law or voluntarily. Whether you are starting up, restructuring your business or planning for succession, our objective is to strengthen and improve your financial position. Ensuring that you are prepared for the future and able to hit the ground running. As a specialised service provider, one of our key areas of competence is guiding you through the commercial and tax-related aspects of insolvency proceedings. We take the stress out of insolvency proceedings and allow you to give your full concentration to integrated solutions. BOKS INTERNATIONAL – At home anywhere in the world. PKS Stahl & Partners mbB has been a member of BOKS International since 2017, a global alliance of independent auditors and tax and business consultants. This directly benefits our clients in their international activities. As a member of BOKS International, we are able to find the best possible solution for country-specific questions and issues. Furthermore, we are able to provide you with quick and straightforward support with, for example, founding your company, registering for VAT and questions relating to international trademark and commercial law. Ensuring that there are no borders to your success. 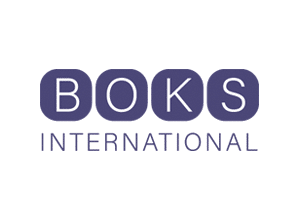 You can find out more about BOKS INTERNATIONAL here. OR CALL TO SET UP YOUR FIRST MEETING WITH US. OUR THREE LOCATIONS IN THE REGION OF LOWER FRANCONIA, GERMANY. ONE-STOP SERVICE FOR TAX CONSULTANCY, LEGAL CONSULTANCY, AUDITING AND BUSINESS CONSULTANCY.